My bakes have been put to hold but to date, this is probably the smallest cake that I've created. 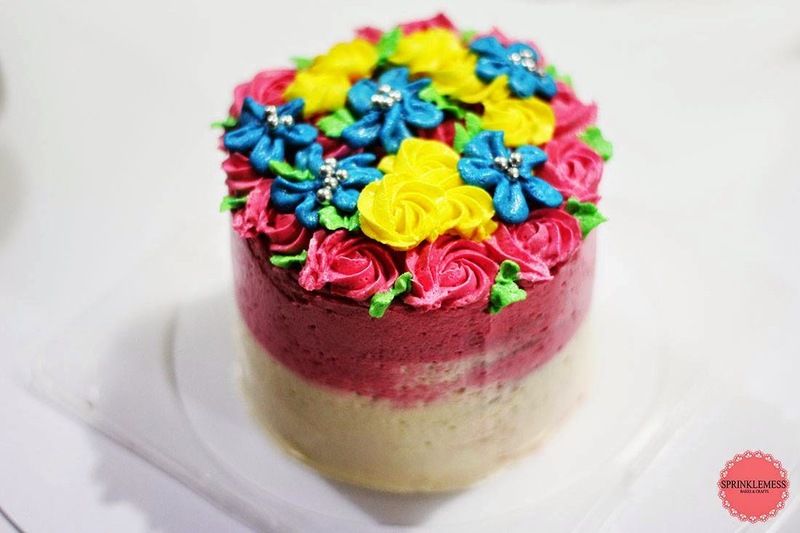 The diameter only comes off at four inches wide and the cake itself is only one inch deep, each layer. Nonetheless, I believe it's the perfect size for two to share though! I had fun creating the tiny details of the flower overload top and the rough ombre finish on the side, definitely!